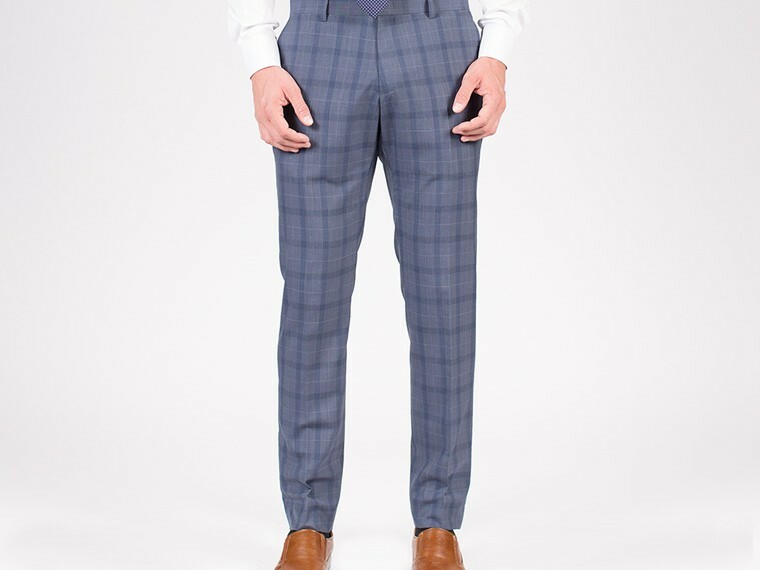 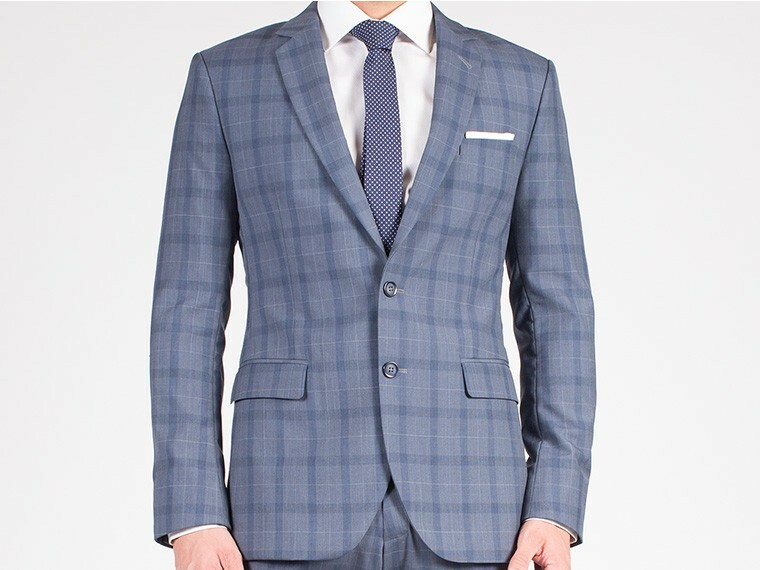 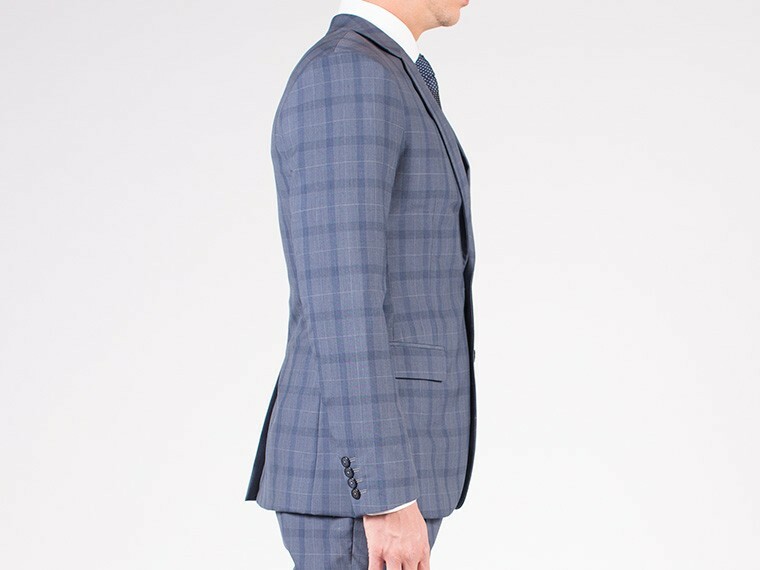 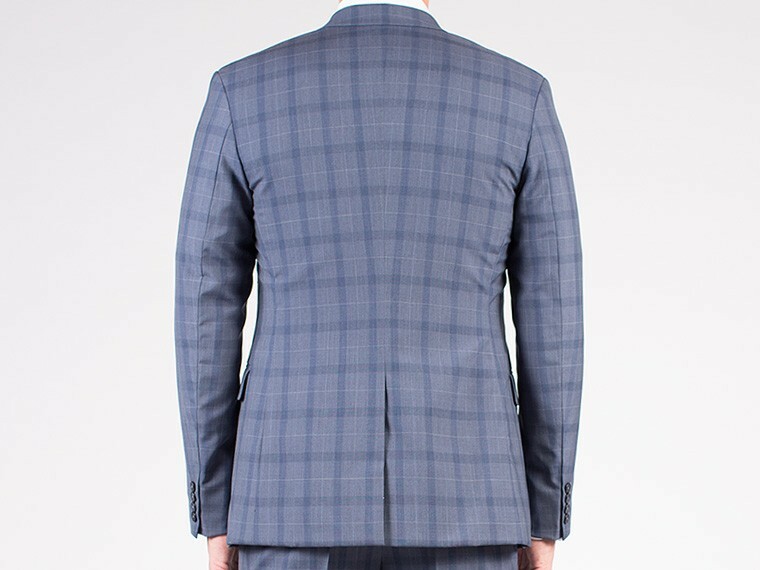 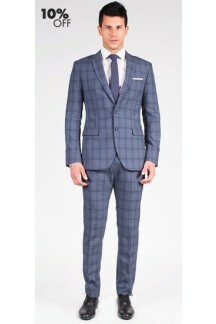 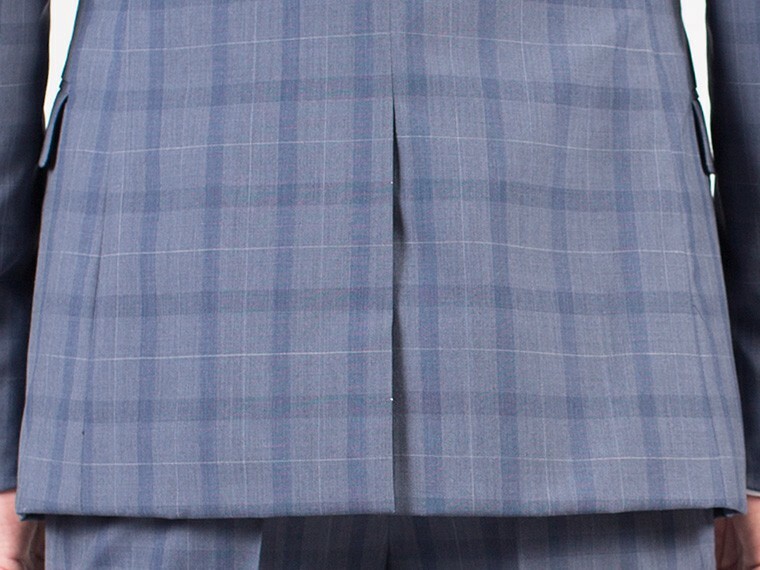 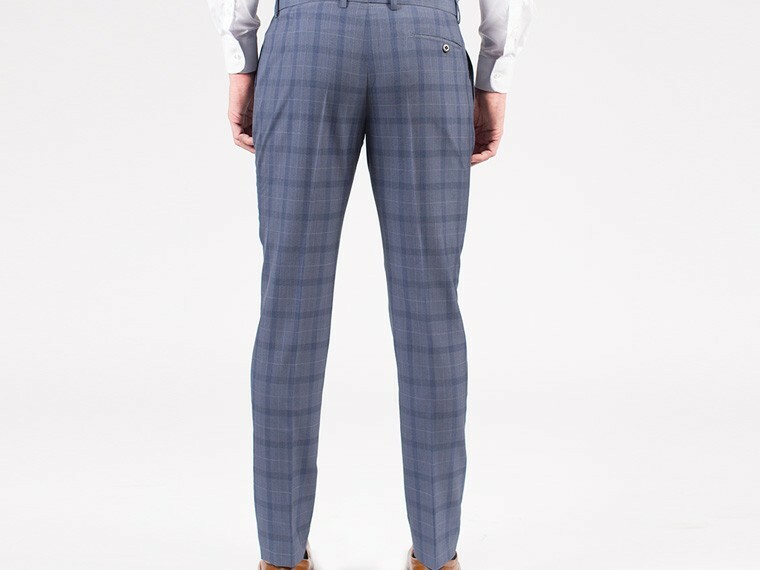 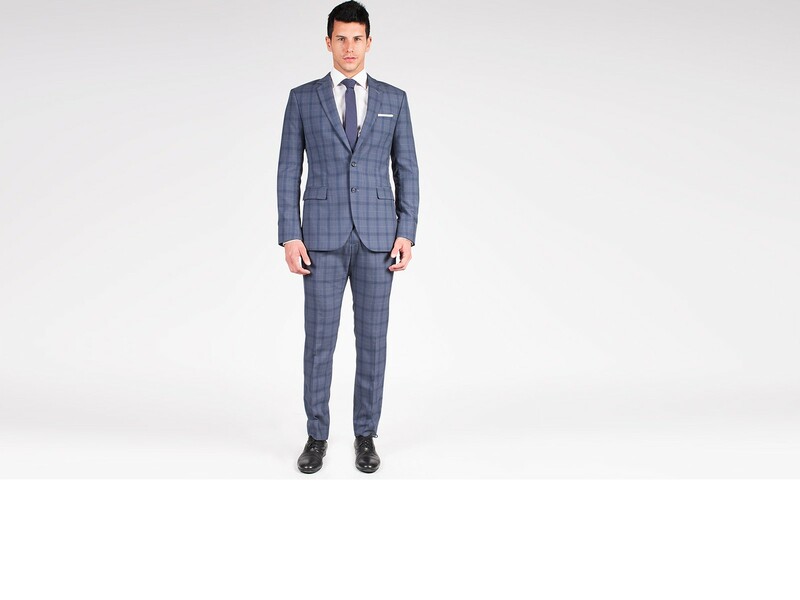 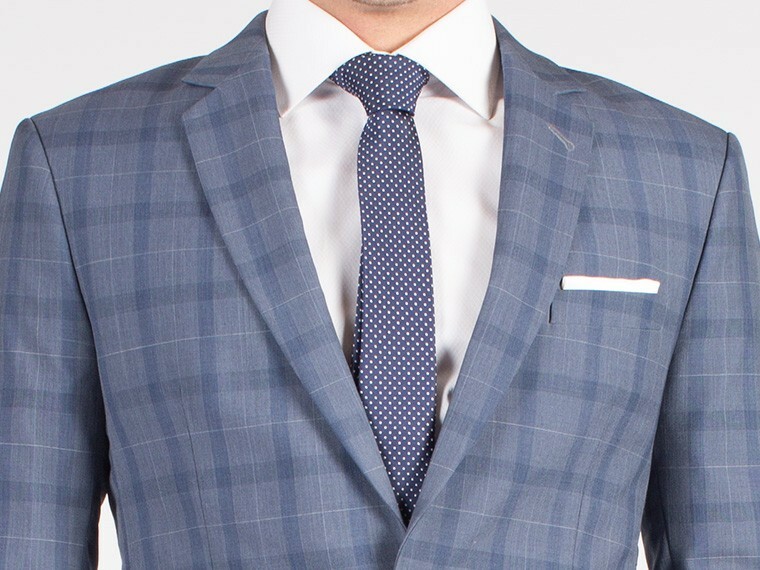 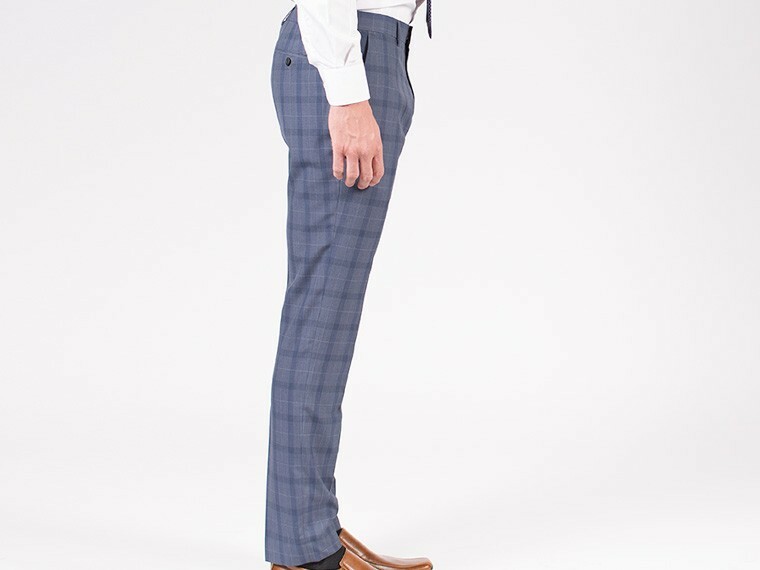 Modern, versatile and stylish defines this 2 piece plaid custom suit in a slate grey/blue hue; perfect for formal and casual wear. 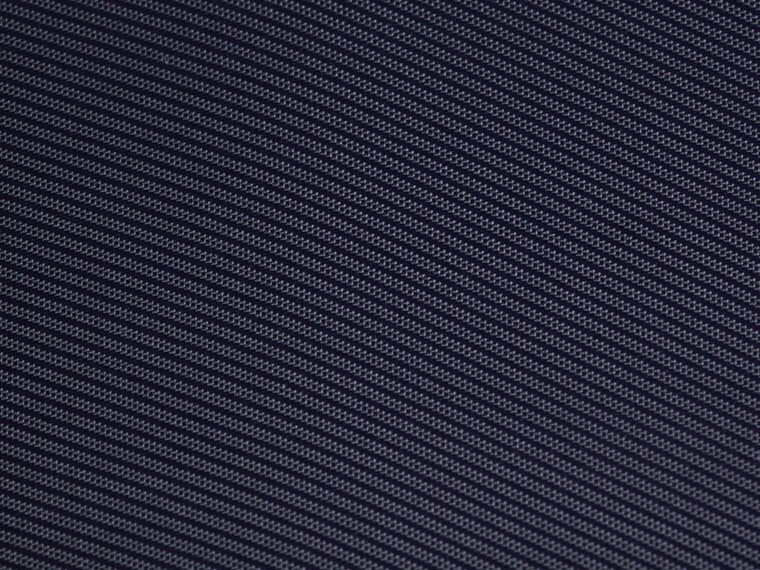 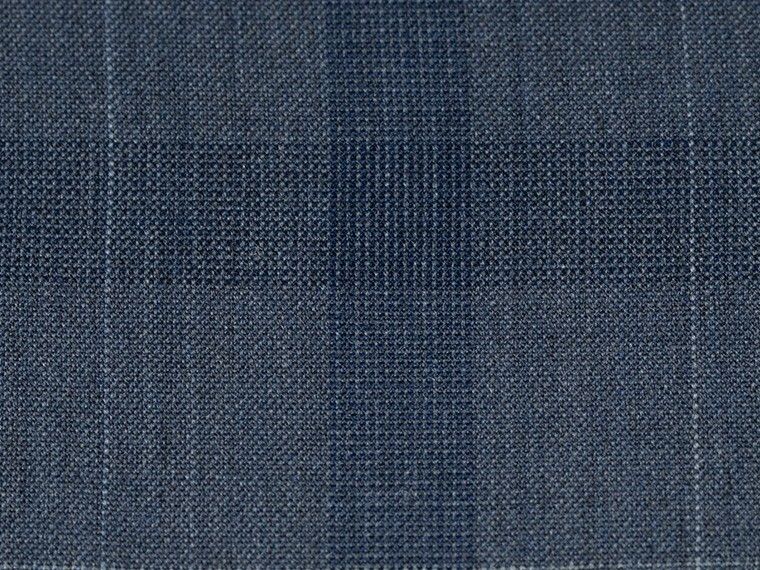 The exceptional quality and finish of the fabric gives it excellent drape, smooth feel and fine finish. 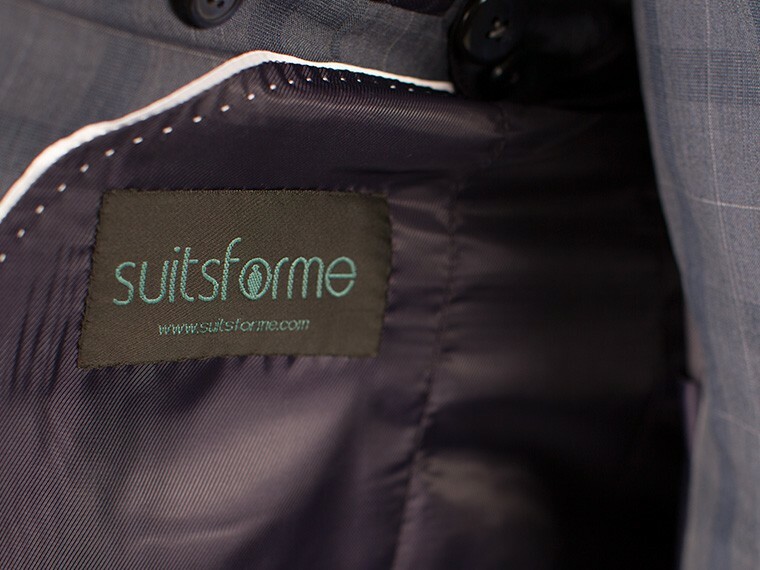 Personalize it with your choice of details.